CLICK THE BUTTONGet Principle's Best Price Now! Get Principle's Best Price Now! 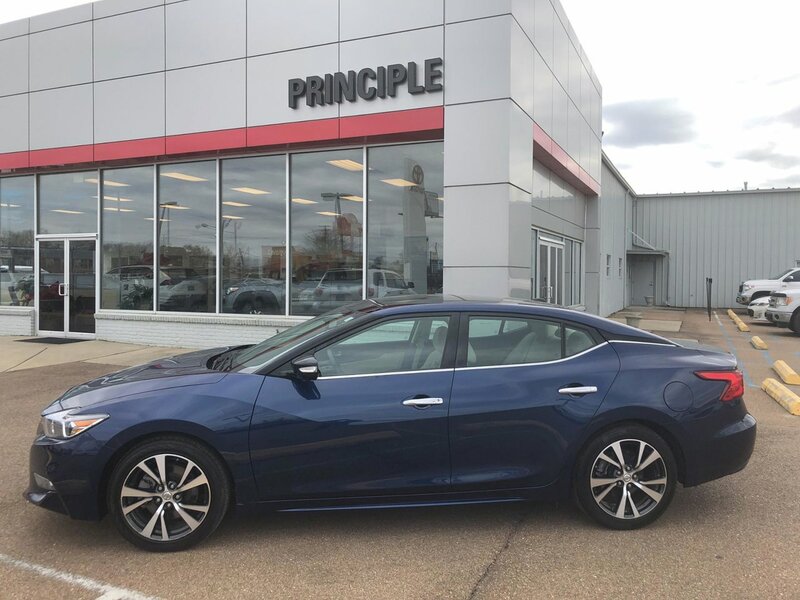 Description This used 2017 Nissan Maxima in CLARKSDALE, MISSISSIPPI is a steal at its price. Basically new, this car is in its prime. How much does the 2017 Nissan Maxima cost? $25,995 It only has 40,513 miles on it and many more roads to travel. Its a v6 Blue car that is easy on the eyes and easy to drive. Contact Principle Toyota to learn more about the 2017 Nissan Maxima. * ADVERTISED PRICE excludes tax, tag, registration, title, $425 dealer document preparation charge and dealer installed accessories. All discounted prices include all dealer discounts and all Manufacturer Rebates, if applicable. Manufacturer rebates may include Toyota Financial Services subvention cash and require financing through Toyota Financial Services with approved credit. Not all buyers will qualify. Non Subvention cash Manufacturer Rebates cannot be combined with any special APR's that are offered. While every reasonable effort is made to ensure the accuracy of this information, the dealership nor Dealer.com is responsible for any errors or omissions contained on these pages. It is the customer's sole responsibility to verify the accuracy of the prices, options, equipment, and overall condition of the vehicle. Please verify any information in question with PRINCIPLE TOYOTA.